I added a nice image background with binoculars to the template store. 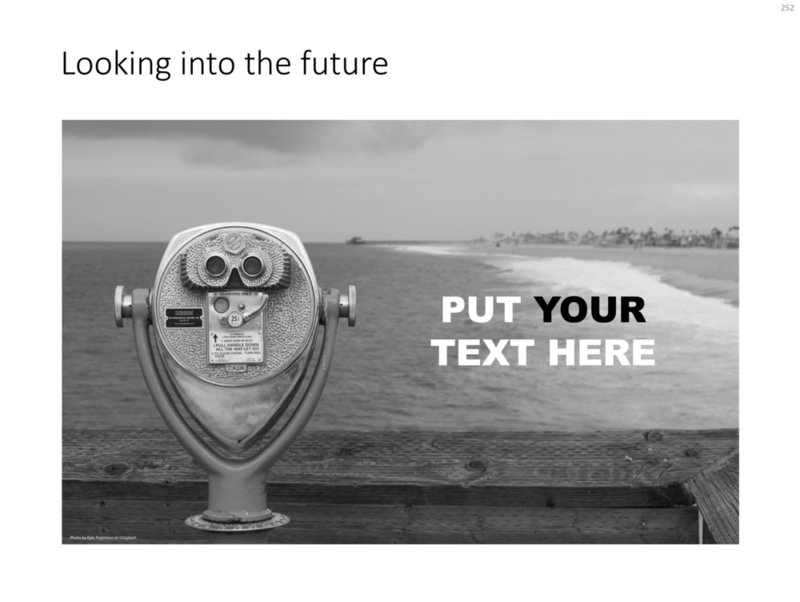 When looking for images in presentations, try to find ones that have a lot of white space and/or depth, pay attention where you place your text, taking into account the overall composition of the slide and the contrast of the letters with their background. Click the image to be taken to it on the template store, subscribers can download it free of charge.